The United Nations said Monday it was examining how to assist Bangladesh in relocating thousands of Rohingya refugees to a remote island despite warnings it could trigger fresh humanitarian upheaval. Dhaka says shifting 100,000 refugees to a muddy silt islet in the Bay of Bengal will take pressure off overcrowded camps along its southern border, where almost a million Rohingya Muslims live in cramped tent cities. 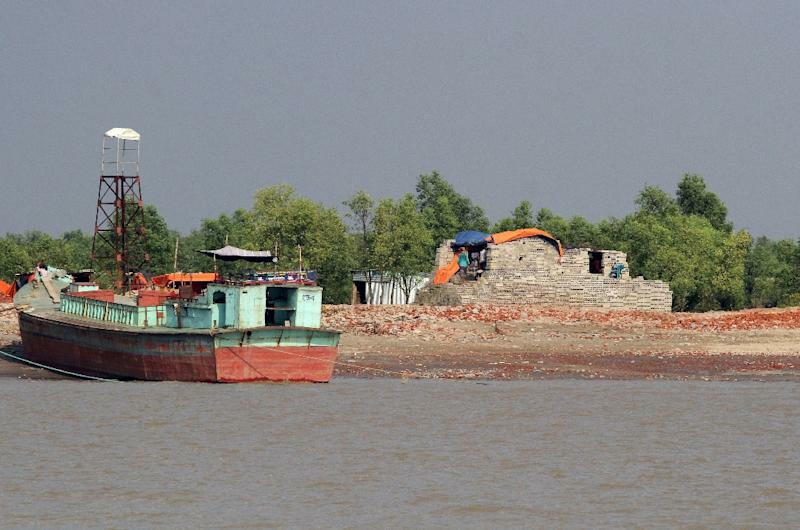 But the move to Bhashan Char -- which is an hour away by boat from the mainland -- is unpopular with many refugees and experts have raised concerns about the island's capacity to withstand the monsoon that tears along Bangladesh's coastline every year. Bangladesh, which has built shelters and flood walls on the island, says it will begin relocating refugees there on a voluntary basis from April. The UN resident coordinator's office in Bangladesh said Monday it would "engage constructively" with the government to ensure any refugees moved there could live "in safe and sustainable living conditions". "We are also examining the potential operational implications of setting up a humanitarian response on Bhasan Char, including the requirements, time frames and costs involved in providing services," the statement said, stressing that any relocation be on a voluntary basis. The island only emerged from the water in 2006 and lies in a coastal area prone to flooding, cyclones and other extreme weather that has killed hundreds of thousands in past decades. A UN special rights rapporteur in January warned rushing refugees to the island could spark a "new crisis". But Dhaka says the island is ready, pointing to a newly-constructed three-metre (nine-feet) embankment they say will keep out tidal surges in the event of a cyclone. Some UN officials have visited the island but access has not been granted to the media. Bangladesh has spent some $280 million transforming the muddy strip but previous deadlines for shifting the Rohingya from camp sites in Cox's Bazar have passed unmet. The camps there host nearly a million refugees who have fled persecution in neighbouring Myanmar in waves going back decades. The largest exodus was in August 2017, when the first of about 740,000 Rohingya escaped violence in Myanmar described by UN investigators as bearing the hallmarks of genocide. The fetid camps quickly swelled into the largest refugee settlement on earth, with huge levels of humanitarian aid needed to care for their inhabitants. The UN refugee agency said Monday nearly $1 billion was needed for the Rohingya in Bangladesh but only a tiny fraction had been raised so far. Khaled Khalifa, a regional UNHCR representative, told reporters in Dhaka "every penny short" of the $920 million needed this year would impact lives on the ground.